Manny Machado is not terribly popular among his opponents, not that there's anything wrong with that. Signed bats from his buddies, the autographed lineup card from the night he hit two home runs batting cleanup behind rehabbing Chase Utley, and the time he played in an All-Star Game with Bryce Harper and Manny Machado. “I kind of liked Harper better,” Murphy said with a laugh. As the baseball world continues to hang for news that Harper and/or Machado will sign somewhere (like maybe with the Phillies), Murphy recalled that 2011 South Atlantic League game when he was in single-A ball playing for Lakewood. He remembered Harper, who was Washington’s No. 1 overall pick and baseball’s hottest prospect, being real personable and handing out equipment to the other players. Murphy, a relatively old 25 at the time, declined the equipment, but he did get a kick out of the T-shirts. A few weeks before the All-Star Game, Harper ignited a national frenzy among the baseball elite by homering off a pitcher he had been battling with throughout the game. As he rounded the bases, he threw a kiss toward Greensboro’s Zach Neal. Shortly after, T-shirts popped up with Harper’s signature and the slogan “Droppin Bombs, Blowin Kisses.” Harper was 18 at the time, two years removed from being on the cover of Sports Illustrated. The scrutiny around him was relentless. “He handled it pretty well,” Murphy said. Machado, an Orioles prospect who scored on a Murphy sacrifice fly that night in Salisbury, Md., was different. 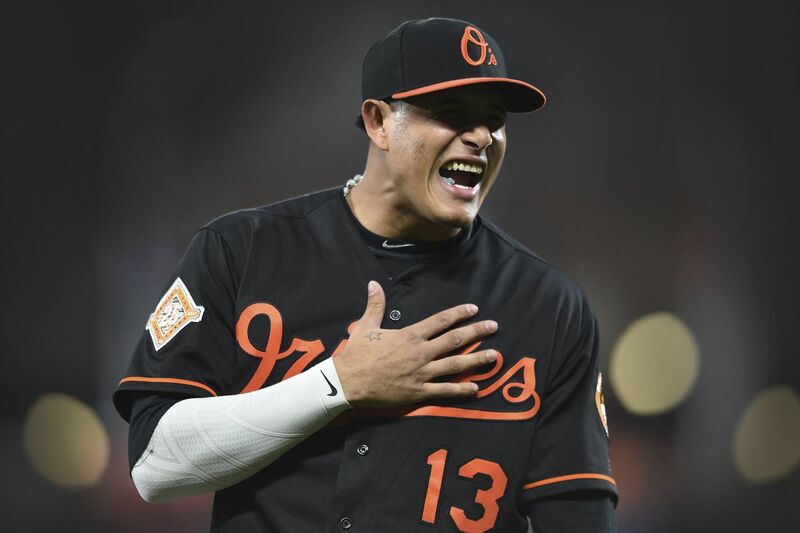 He may be this year’s second-most coveted free agent, but Machado will never win any popularity contests among opponents. NL MVP Christian Yelich was among the Brewers calling Machado a dirty player after an incident in October’s National League Championship Series. His career is littered with skirmishes. Murphy, who retired from baseball in 2015, doesn’t mind Machado’s approach. “Baseball needs villains, guys to talk about,” said Murphy, 33, a loan consultant for Caliber Home Loans in Kirkland, Wash. “Like A-Rod and Barry Bonds – not saying it’s a steroid thing – but Nolan Ryan was a little like that. Pete Rose is another example." The North team lost to the South, 6-3 that night, as Murphy went 1-for-2 with a walk. Question is whether Harper or Machado will join that list. Until then, we wait.